The Hunter Signal™ is WiFi® enabled and compatible with modern home automation systems. 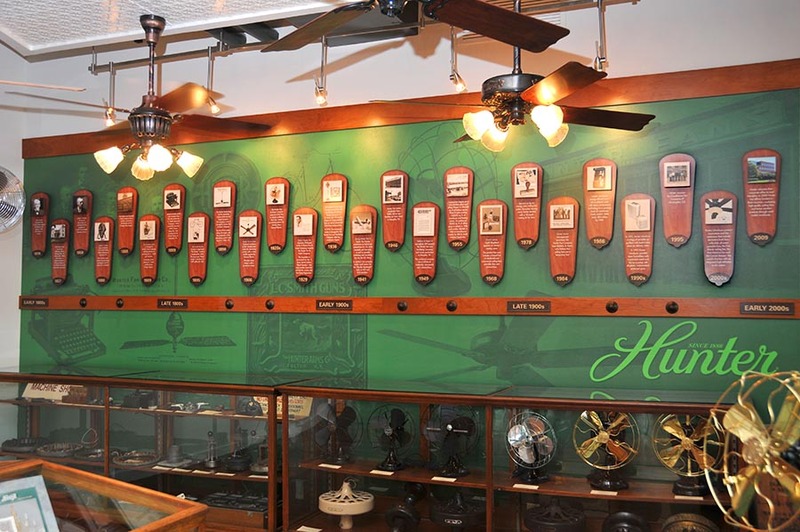 When John Hunter and his son, James, invented the ceiling fan in 1886, they probably never imagined how much it would evolve over the next 130 years. The father-son team set out to invent a solution for challenges ranging from the smothering Syracuse, New York summer heat to the pollutant-filled air from nineteenth century manufacturing plants. The first models were water powered and belt driven. Since its founding, Hunter Fan Company has continued to innovate and perfect the ceiling fan through aesthetic design, lighting, power, and energy efficiency. 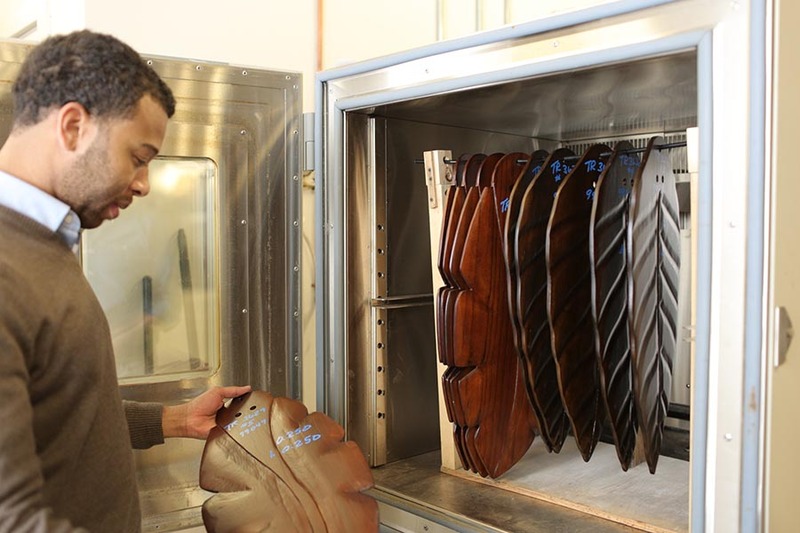 One of Hunter’s engineers reviews environmental testing for fan blades. Hunter Fan Company moved to Memphis in 1946 where it is now home to one of the industry’s top testing and development labs. Hunter’s technicians are driven to create a quiet, powerful, and reliable ceiling fan, performing twice the amount of testing as agency standards require. The company’s test technicians have even invented their own protocols where none existed before. As technologies changed over the decades, Hunter improved its craftsmanship and energy efficiency, adding better functionality to the original ceiling fan’s popular key features. Hunter’s classic 52” Hunter Original®, for example, features a one-of-a-kind motor and oil bath system for the fan-bearing lubrication, making it as ruggedly beautiful as it is wear resistant. Hunter continues researching and innovating new motor technologies for wobble-free, whisper-quiet performance. Today, Hunter offers several models of smart home ceiling fans, activated by voice commands and smart home integrations, including Google Assistant, Amazon Alexa, and Apple HomeKit. Hunter’s SIMPLEconnect™ Wi-Fi® enabled fans allow homeowners to schedule their ceiling fan light to turn on when they arrive at home or to sync them with a smart thermostat to keep the home cool and energy efficient. The Hunter headquarters pays tribute to the company’s long history. Hunter’s engineers and designers work in close collaboration to create a ceiling fan with powerful performance that complements the modern homeowner’s lifestyle and becomes the centerpiece of their room. The Hunter design team travels the world uncovering home fashion trends, creating new looks, and finding inspiration for innovative ceiling fans. Over the past 130 years, the designers have invented hundreds of ceiling fan finishes to keep fan designs fresh and ahead of home trends. Hunter offers a wide selection of lighting choices, blade finishes, and beautifully crafted housings in a variety of styles for every room from modern kitchens to farmhouse patios. 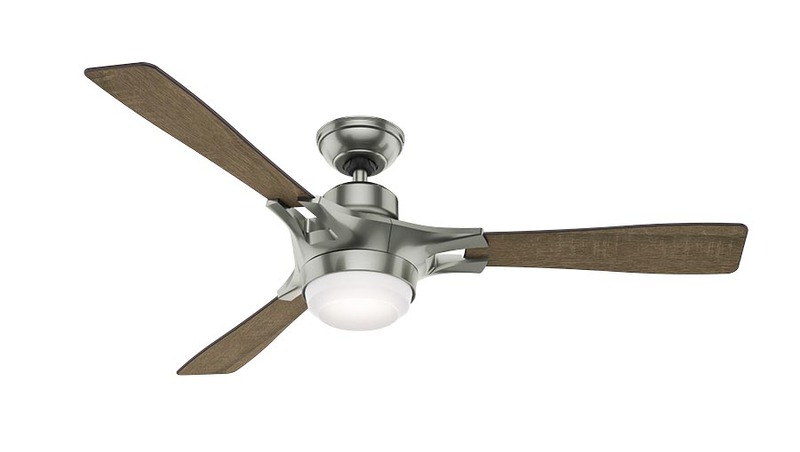 From updated traditional styles to modern chandelier inspired ceiling fans, Hunter offers a fan for everyone’s aesthetic. Meticulous attention to detail and an unwavering commitment to quality have been the cornerstones of Hunter’s success. Their goal is to create a ceiling fan that will inspire spaces while maintaining the heritage of quality, reliability, and efficiency that comes with a well-crafted fan. John and James Hunter would be proud indeed.